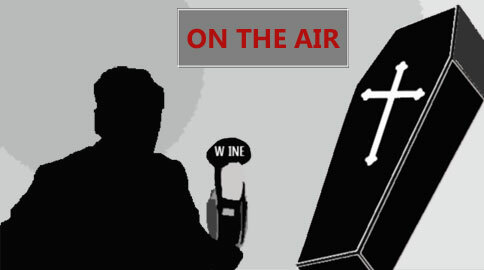 A wine interview with Albert Einstein. Who knew that he was such an advent wine drinker? Momo: Hello Mr. Einstein, what a pleasure and an honor it is to speak with one of the greatest minds of the 20th Century. Albert Einstein: Vy thank you, its vin a very nice to a meetchu too. Ive alwvies vanted to speaka about da vine. that understandable. I will now try to transcribe it for you. life changing events in your life? Albert Einstein: Three events changed my life. First, when I was 5 I saw a compass and marveled at how it moved by itself. Second, when I was 12 I was fascinated by a book of geometry. Third, when I left Munich I dropped out of school and evaded the draft and ended up in Switzerland where I had my first glass of Chasselas wine. Momo: Compass, Geometry and Chasselas? Why Chasselas? 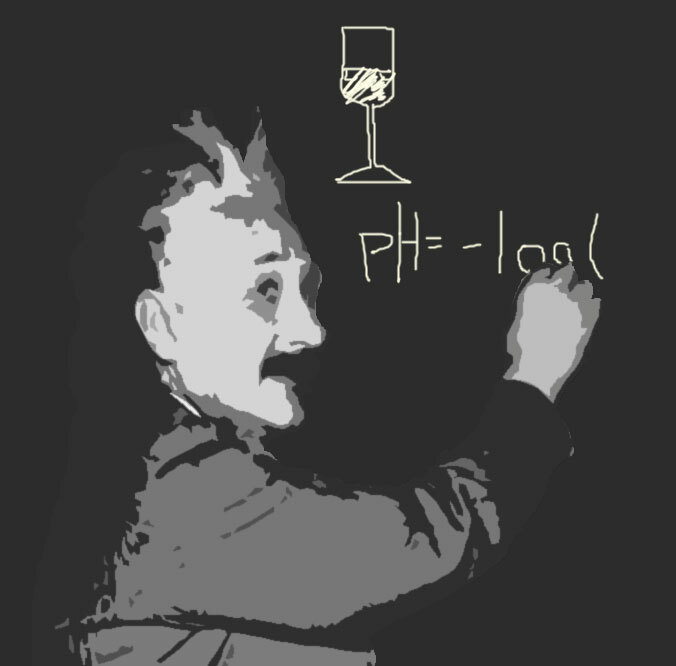 Albert Einstein: I guess it could have been any grape, but Chasselas was my first intoxication, and led me to discover the process of Embden–Meyerhof–Parnas pathway. Albert Einstein: It is the metabolic pathway that converts glucose C6H12O6, into pyruvate, CH3COCOO− + H+. The free energy released is used to create high-energy compounds ATP and NADH. Momo: Whoa, Albert. Slow down! Remember you are talking to people who read blogs because books take too long. Can you put it in lay man terms? Albert Einstein: Sorry, I’ll explain. After that run in with Chasselas and the Swiss bar maiden, I was absolutely enthralled by what made me feel so happy, easy-going and gave me the forte to engage in relations with such a beauty. I realized it was alcohol, and this led me to study fermentation and the way glucose turns into alcohol. Momo: So you became a wine lover because of the scientific process behind wine making? Momo: Did you collect wine? Albert Einstein: Why yes, I did! I built the perfect wine cellar in my home in Zurich. I kept the average of Kinetic Energy of the molecules at around 58 degrees. I also tried to keep the amount of water and the thermal energy of evaporation at a 65%. I was also able to test my theories of Thermodynamics in that space. I made sure the room absorbed photons, under the principle of conservation of Energy, it could not be created nor destroyed so I kept the area dark and free of heat. Momo: In other words, you cellared your wine at 58 degrees kept humidity at 65% and allowed little light? You sure over complicate things. 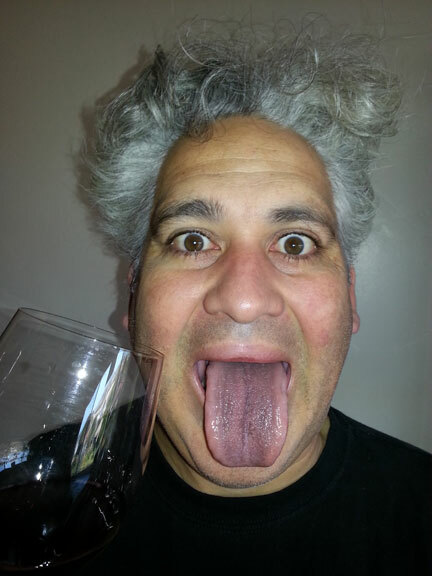 So what have been some of your favorite wines besides Chassales. Albert Einstein: Yes Momo, the cellar was the first place I was able to put my theory of Relativity into action. It was all about light refraction and energy. When my wife divorced me, I decide to drown my sorrows in Riesling. I had much Riesling in my cellar. I was a fan of Süssreserve, these wines were an absolute delight for the ladies. The wine’s monosaccharides when fermented, allowed for fructose to remain developing sweet flavors. However different from other grapes, the Riesling was balanced with tartaric acid and potassium hydrogen tartrate and very little volatile acidity. I later gave up Riesling in 1932 when I fled Europe because of Nazi evilness. Momo: Let me get this straight. You liked Riesling because it had residual sugar and high acidity? I am running out of psychic bandwidth. I have one last question, what do you think you would drink today if you were alive? Albert Einstein: Before I died, I was living in New Jersey working on many theories. I began to combine my theories of relativity, light, quantum physics and time travel into one theory, the unified field theory. I came upon that one day when I had a bottle made of a field blend made with Zinfandel, Alicante Bouschet, Durif, Grand Noir and Roussanne from the an area of California known as the Sierra Foothills. It dawned on me that all my earlier theories were all a blend of one…the unified field theory. Momo: Amazing! Thank you for reaching out to me. This wine interview was pretty heavy, but so enlightening to see from one of the greatest minds of our time how wine influenced you. This was exhausting, I feel as though after connecting with you for so long I am turning into you. Thank you for your time, Auf Wiedersehen. Great read! Fun and funny! Thanks! very clever…, I take my had off such a wonderful intellect.